Here’s one great example of the 12.9-inch iPad Pro and Apple Pencil being put to good use by a pro: The latest cover of the The New Yorker, for the Jan. 9th issue out now, features a cover illustrated entirely using an iPad, Apple Pencil, and the popular Procreate app. The publication even posted a time-lapse video on its website (below) showing the process. 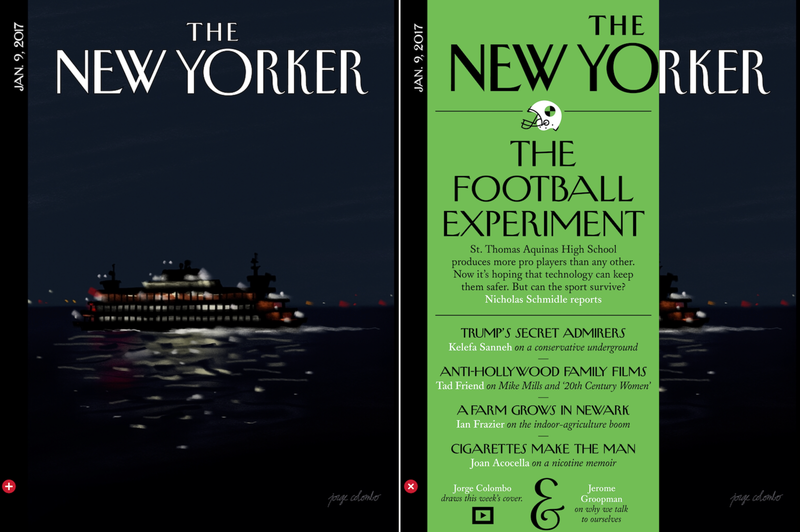 Jorge Colombo has actually had several of his iPhone and iPad paintings featured as covers on past issues of The New Yorker, but those were “finger paintings” while for the latest cover Colombo has switched to Apple’s new larger 12.9-inch Pro model and Apple Pencil accessory. Check out our rundown of Apple in 2017 where we explore what’s next for iPad and Apple Pencil.